Home › Flooring › My Bamboo Flooring is Making Squeaky Noises. What’s the Fix? My Bamboo Flooring is Making Squeaky Noises. What’s the Fix? Most people don’t like squeaky floors. Even in the best case scenario, it means an annoying sound anytime you walk on a specific part of the floor. If it happens to be in a bed room, especially when babies are involved, squeaky floors can turn a restful into a long night. 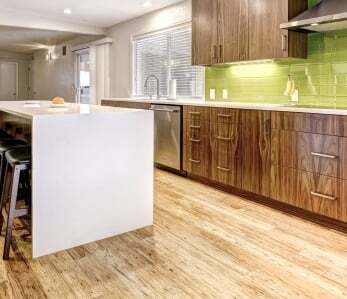 Why is my wood or bamboo flooring make noise? Should I take care of the issue myself or consult with an expert? Each of these points, of course, requires further consideration. It’s a simple 3-step process: identify the exact problem, understand your options in solving it, and work with someone who can reliably help you take care of the issue. 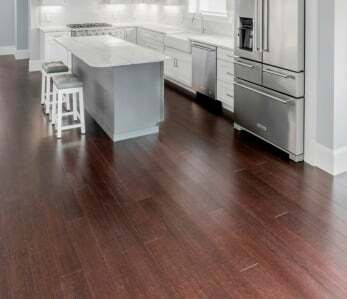 Why Does Wood and Bamboo Flooring Squeak? Your home is starting to settle. Over time, houses settle, and especially fresh lumber begins to dry out and shrink. This can result in subfloor joists and wood beams shrinking, warping, and moving around, which will cause the wood to separate, resulting in squeaky noises when the woods start to rub together. The nails securing your to your subfloor have come loose. 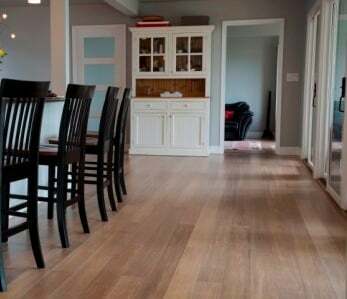 With each season, wood and bamboo expand and contracts naturally, which can result in an effect of pushing out the nails that hold your sub-flooring together. In each case, the noises you hear likely come from wood planks and boards who are now looser because they’ve either shrunk or are no longer held in place tightly by the sub-floor nails. They begin to rub against each other and/or the nails as you walk over them, which results in that dreadful squeaking noise. Use short screws to fasten the sub-floor and floor boards against each other, from below. These screws will essentially replace the nails that have come loose, ensuring minimal movement for the individual boards. Add a shim to the gaps between the flooring and the joists from below. If you can spot the exact gaps that cause your floors to squeak, and as long as these gaps are small enough, a simple fix is to add a shim into the gap. With some wood glue, it can easily stay in place. You can also nail a board down the length of a joist that has become warped. If you don’t have access to the floor from below, another solution is to drive finishing nails into the top to once again tightly attach your wood floor to the sub-floor. Be careful that your nails hit the joist that may have caused the squeaking. Finally, another option to fix the squeak from above is to lubricate the floor boards themselves. You have to make sure you get it right, but it can be a quick fix to an otherwise annoying problem. Of course, all of these solutions require an understanding of what exactly is wrong with your flooring. In addition, you don’t want to get it wrong. That’s why in most cases, consulting with a flooring expert is your safest and most reliable choice. Imagine the following scenario: you have dealt with squeaky floorboards for long enough, and want to finally take care of it. But you don’t have access to the flooring from below, so you choose option #3 above – finishing nails in the top of the floor. But then, disaster strikes: you miss. All of a sudden, you stand in front of a nightmare scenario of having ruined your floor for a seemingly easy fix. 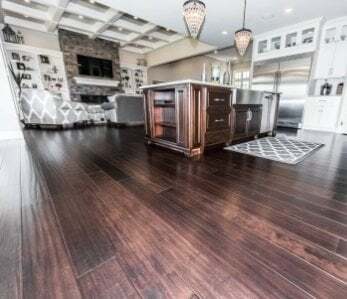 In addition, many of the fixes suggested above actually depend in their usability and effectiveness on how exactly your flooring is installed. 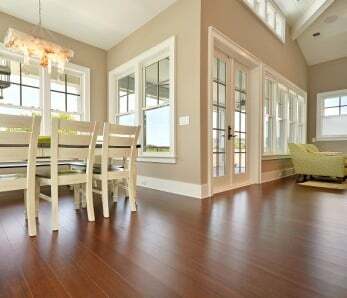 Depending on that initial installation, a solution to your squeaky hardwood floors may look very different. That’s why it’s often much easier to work with an expert on fixing the problem. Not only can an installation professional determine exactly why your floor is making noise, but they can also suggest the perfect fix that would stop that noise once and for all. In other words, calling a professional might just be the only step you need to take in order to take care of the problem. Many installation professionals will agree to a free evaluation of the situation. With an expert opinion in hand, you can make a more informed decision about the steps you need to take in order to stop your floors from squeaking. When your floor makes noise, don’t delay a solution. You will only risk exasperating the problem, rather than implementing a fast and reliable fix. By talking to a professional today, you can make sure the issue is diagnosed and fixed the right way.